Police in New Hampshire say four on-duty Secret Service agents who were part of Democratic presidential candidate Hillary Clinton's protective team were involved in a head-on collision Tuesday that killed the driver of the other car. 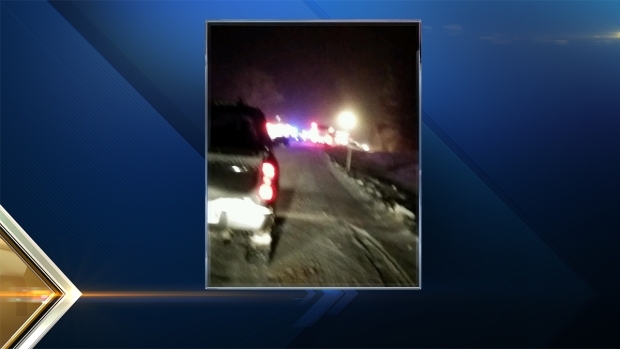 The accident happened at 7:03 p.m. on Route 16 in Wakefield, near the Maine state line. 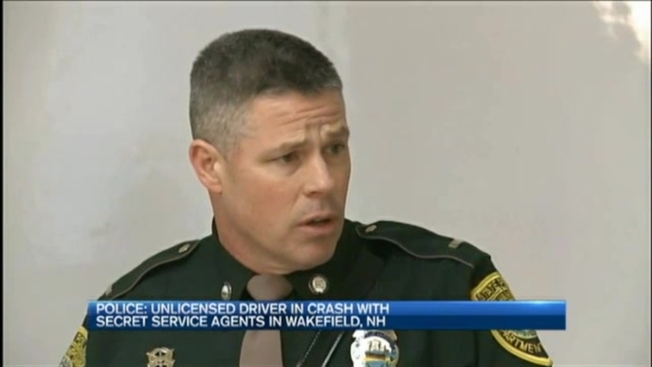 New Hampshire State Police said the agents were passengers in a Ford Taurus heading south on Route 16. A northbound Mercury Sable with three people crossed over the center line and collided head-on with the Taurus. The Sable driver, 45-year-old Bruce Danforth, died at the scene. Two passengers - Danforth's girlfriend, Natasha Meroski, 35, and a friend, Kristina Buswell, 21 - were initially taken to Frisbee Memorial Hospital in Rochester and Huggins Hospital in Wolfeboro. Buswell is now at Maine Medical Center with a broken pelvis and an injured spleen, her father said. "My heart's broken," said Tiffany Danforth, the victim's daughter. "And my family - you know, we're just being strong together, we're sticking together." The four Secret Service agents were taken to Frisbee Memorial Hospital for initial treatment of their injuries. Their names and conditions have not been released. "At this time, our personnel have sustained what is described as serious, but non life threatening injuries," Secret Service Director Joseph Clancy said in a statement. "Please join us as we keep all the victims of this accident and their families in our thoughts and prayers." Police in Methuen, Massachusetts, confirm that Danforth and Meroski were arrested on Dec. 2 on charges of heroin possession. Bruce Danforth, killed in a crash involving members of Hillary Clinton's Secret Service protection team, was arrested on heroin possession charges earlier in the month in Methuen, Massachusetts. State police said at a press conference Wednesday that the Secret Service agents were working "as part of the protective effort" for Democratic presidential candidate Hillary Clinton. Clinton was campaigning at a town hall meeting Tuesday night in Berlin, about 80 miles north of Wakefield. She reportedly arrived for the 6:15 p.m. event 90 minutes late due to the weather. She had held an event earlier in the day in Portsmouth. Clinton released a statement Wednesday afternoon saying that she was "saddened and concerned" to hear of the accident. "My husband and I send our prayers and condolences to all the victims and their families," she said. "We are grateful everyday for the service, dedication, and professionalism of the U.S. Secret Service." Police said Danforth did not have a valid driver's license and was known to them. He had an extensive criminal history and was on probation. It's possible that Danforth may have passed another vehicle just prior to the accident, police said. "The roads were terrible, it was icy," said Grace Bramer, who passed by the scene of the crash. Road conditions were treacherous in New Hampshire on Tuesday night, with a Winter Weather Advisory in effect for snow showers and drizzle. It isn't clear yet if weather played a role in the crash. Wakefield and state police are investigating the accident. Anyone with information is asked to contact Trooper First Class Christopher Storm at 603-223-8607 or christopher.storm@dos.nh.gov.